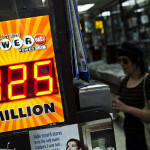 The Powerball is one of the most popular lotteries in the United States and worldwide, due to its record-breaking prizes and lengthy tradition. California is one of the few US states that didn’t adhere to this lottery and for many years its residents missed out on the opportunity to strike it rich. 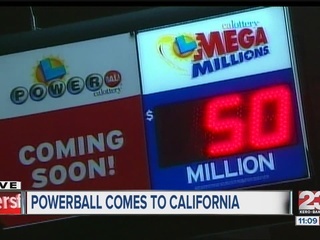 The wait is over and with California welcoming Powerball, players will be looking forward for the first draw ever in the Golden State. Everyone is anxiously waiting to see who will be the lucky player to become the first Powerball lottery millionaire in state history, with the first draw ever to be held on Monday. 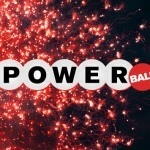 When players hear that the Powerball made a new millionaire and the jackpot was in excess of $300 million, it comes as no surprise that they want to be a part of this lottery. California residents are famous for their passion for lotteries, but until recently they were deprived of the opportunity to buy tickets that compete for truly great prizes. 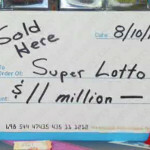 The news made them happy and the fact that they can purchase Powerball slips from the same retailers where other lottery tickets are being sold is refreshing for many. Many were crossing state lines for buying tickets, but the wait is over and they couldn’t care less about the fact that the odds seem to be stacked against them. The retailers are also thrilled with the fact that California finally embraced the Powerball, as they expect their sales to surge. Add to this the fact that the lottery rewards those retailers where the jackpot winning tickets are sold with $10,000, and their enthusiasm is easy to explain. Last but not least, state officials are happy to see additional amounts being collected by the state budget as a result of taxes applied to all Powerball prizes. The first Powerball draw was held back in 1992 and only a couple of states were part of this lottery back then, but their number quickly rose to 44. April 2013 marks a special occasion, as California joins the lottery and with the Golden State in the mix, the jackpots are expected to rise even further. This will be the first major boost since the price of the tickets was doubled one year ago, and there are good reasons to expect the standing record to be broken in a not so distant future. 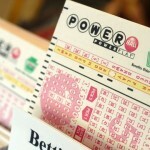 Billions of dollars have been awarded to players since the Powerball lottery began, with charitable organizations and state budgets collecting billions of their own. The higher the jackpot gets, the more tickets are sold and at the end of the day everybody wins more or less. California is one of the states that could benefit from a capital influx, and the amounts generated by the Powerball are substantial.